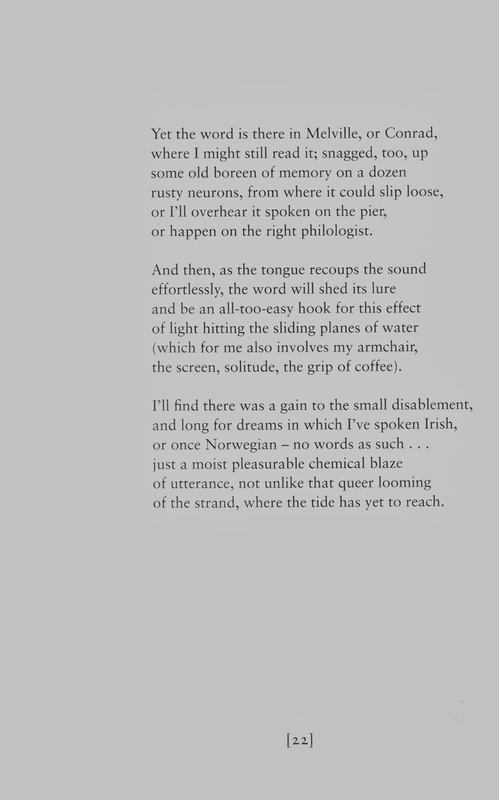 Earlier today I had to google "spelling by sound" because I could not bring to mind - it was "snagged up some boreen of memory on a dozen / rusty neurons" I daresay - the word "phonetic". This evening, after a poetry reading around the corner I came home and read 'Irish' by Maurice Riordan. It comes from his T.S.Eliot prize-nominated collection, The Water Stealer, published by Faber. I regret to say that it is presented here without permission. But we are a private group, are we not? 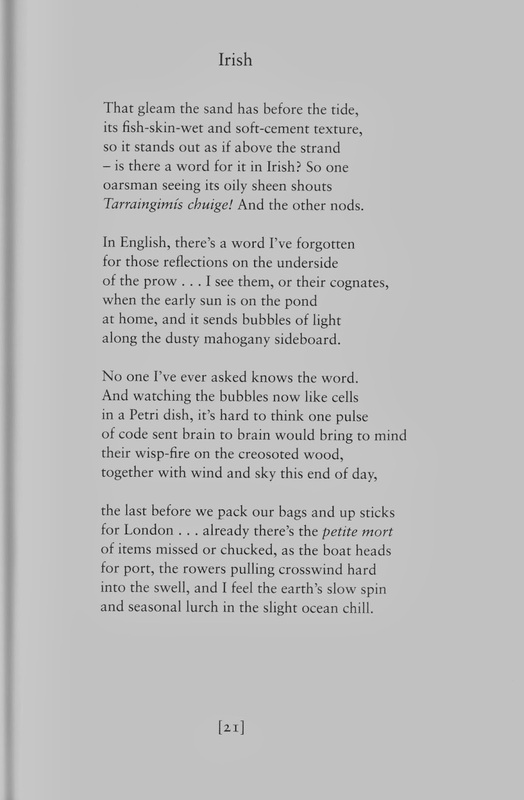 And anyway it is a rather wonderful - and characteristic - poem. You'll see why it is pertinent to my forgetfulness in a moment. I hope it is readable.